It is a necessity to time each breaker, in order to have its functional signature. 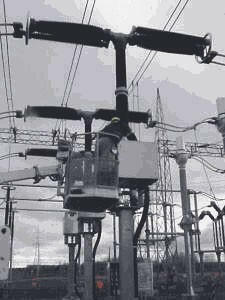 Incorrect operation can have disastrous consequences on the equipment or the substation personnel. Not to mention the out of service losses of revenue and the repair costs. Combined with timing, motion measurements complete the overall picture of the mechanical status of the breaker contacts. One of the main difficulties of motion measurement is positioning the transducers and finding the right attachment of the mechanical base on the breaker mechanism. A complete and detailed understanding of the international standard IEC56 related to circuit breaker motion and timing. Being able to interpret the obtained results. To monitor other parameters which can give valuable information on breakers when timing and measurements are not sufficient anymore. (current, voltage, pressure, etc.). To determine which transducers to use on various breakers.